Three wins out of four this week with the 1sts continuing to put pressure on the leaders in Division A, the 2nds making it 4 out of 4 at the top of Division B and the 3rds securing their first win of the season. 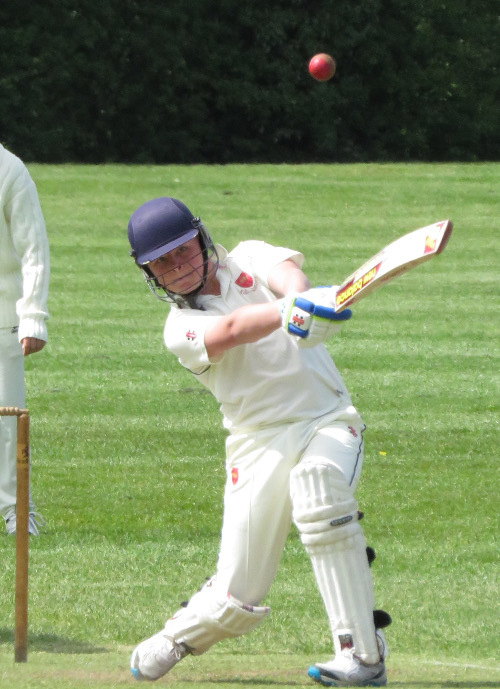 Despite the 4ths losing there was huge consolation as Tom Black, in his very first open age cricket game made an unbeaten 40 and Seth Puddy, in only his second game, took 5 for 20 to take his tally in just two games to 8 wickets. The 1sts took the long trip to lowly Balderton looking to maintain their unbeaten start to the season and did so in some style. The home side were restricted to 176 for 9 from their 50 overs with Ben Bhabra (3-53) and Arjun Sandhu (3-62) doing the bulk of the damage. It was then left to Byron Haycock with an unbeaten 69 and Ben Bhabra, reinforcing his all-rounder credentials, with 55 not out to secure the win by 6 wickets with 2 overs to spare. The win moves the team up to 2nd place in the league behind Collingham. There was a fourth consecutive win for the 2nds at The Strand as they overwhelmed Caythorpe by 73 runs. Batting first on a wicket that helped the bowlers when the ball was new, Attenborough looked to be in some trouble at 46 for 4. However an 82 run partnership between Rich Henson (45) and Neil Thurlow (31) steadied the ship and allowed the tail to throw the bat with 25 for Pete Bateman and 16 for Martin Rayner. Caythorpe's reply started in the same way as Attenborough, crumbling to 26 for 5 as Martin Rayner claimed 4 early wickets. There was to be no reprieve though as the visitors were finally dismissed for 113. The 3rds secured their first win of the season with a comfortable 5 wicket win at Gedling and Sherwood. The home side were dismissed for just 95 with Rob Howarth claiming 4 for 23, James Grenfell 3 for 23 and Rod Kitching 3 for 17. In reply Ben Sheppard showed his class in taking the game by the scruff of the neck with an unbeaten 33 in double-quick time. In Division L the 4ths made 124 for 5 in a reduced 40 overs with Tom Black, in his first game, making an unbeaten 40 and stand-in skipper Carl Knight 30. 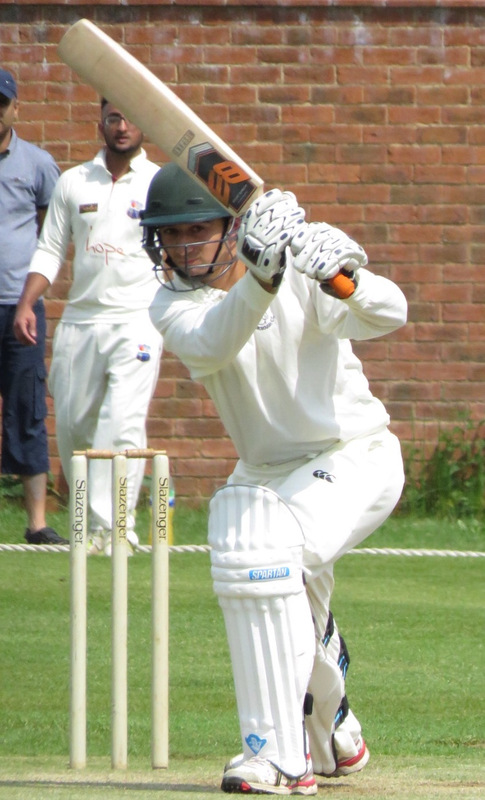 Kirky Portland were cruising at one stage before Seth Puddy made a dramatic impact with 5 wickets for 20 from 8 overs, leaving the visitors feeling a bit uneasy as they limped home by 4 wickets.